i hate this loud and obnoxious dude who drinks at my favorite bar. 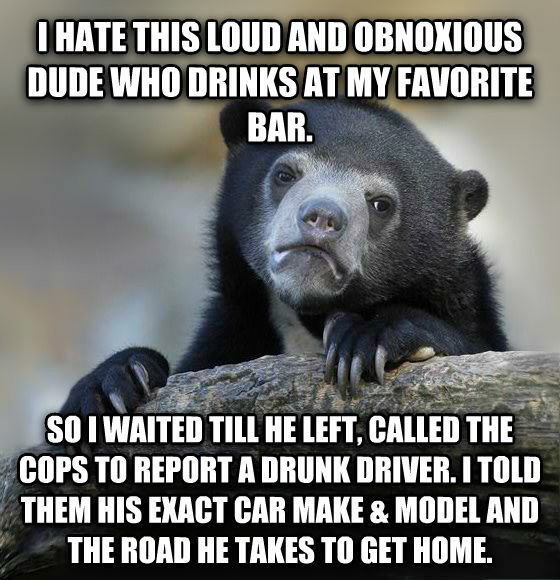 so i waited till he left, called the cops to report a drunk driver. i told them his exact car make & model and the road he takes to get home.